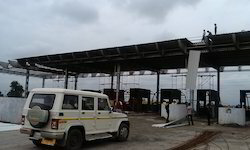 We are engaged in offering an outstanding range of Roofing Works Turnkey Projects Services. We offer these with self-threading screws in order to ascertain simple yet firm fixing. We use Lepidium washers for durability. These offer protection from heavy rain, heat, and cold. Our range offers solutions for color coated roofing for existing range of side and truss cladding and asbestos sheets for existing sheds. The comprehensive variety of Roofing Work Services that we offer is manufactured from premium quality color coated sheets. Self treading screws used in the sheet work helps in fixing and the epdm washers washers make the range long lasting. The sheet works offer protection from inclement weather. The range is ideally suited for structural enhancement and protection of the premises. Our product and services are timely and offered at most affordable cost. 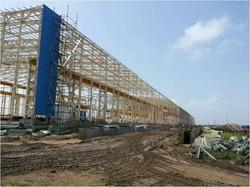 We are engaged in offering a wide range of Turnkey Project Management to our valued patrons. Each project is completed within cost and time targets using the highest quality standards followed the industry. Also, turnkey project execution improves client-contractor coordination. Our Roofing Turnkey Projects are meticulously planned in order to offer clients an exceptional roofing experience. Each detail is meticulously planned for an impeccable end result. Our forte is to deliver the projects to clients in a most timely manner so that they do not lose any man hour. We make sure to use only premium quality raw materials. 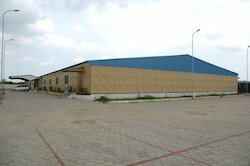 The Roofing and cladding work offered by us offers solutions to a wide gamut of industrial or agricultural buildings. Our range is cost effective. 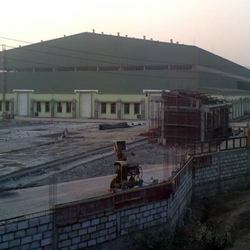 We have marked a distinct place in the industry by providing a high-quality array of Turnkey Project. This service is executed with a team of dedicated professionals who are working at various locations. These project services are acknowledged for its timely execution. Apart from this, we are offering this service range at the budget friendly market price.